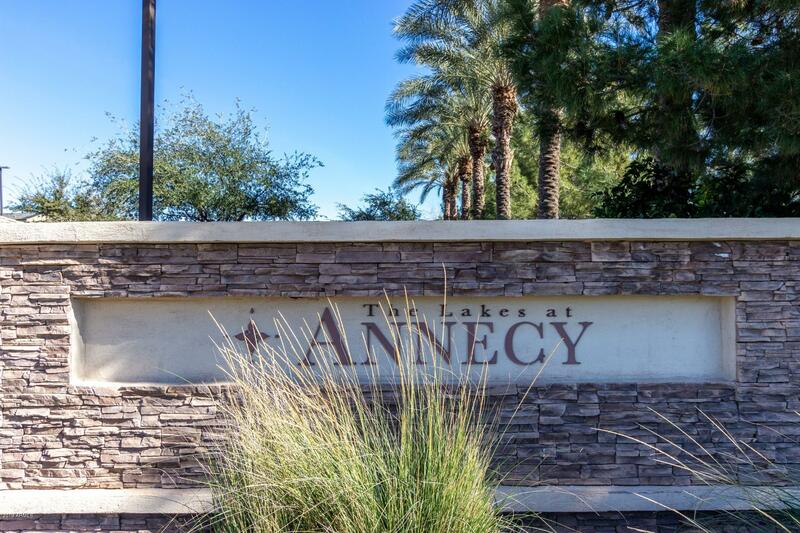 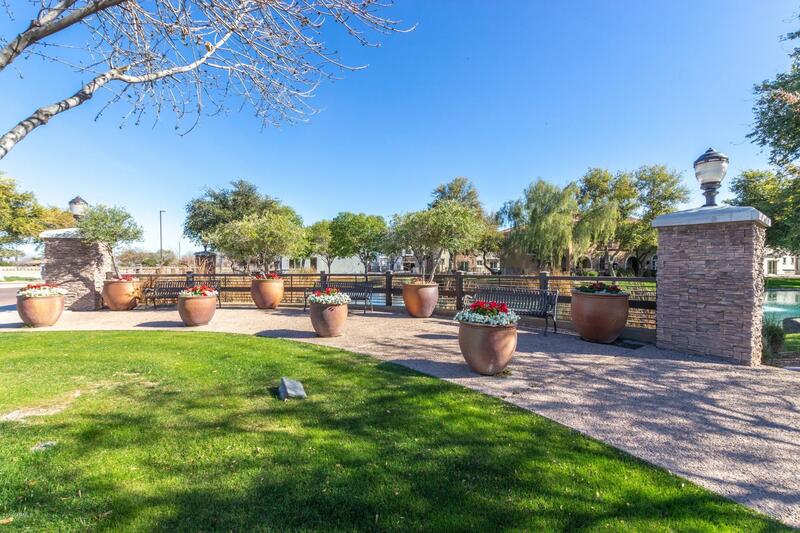 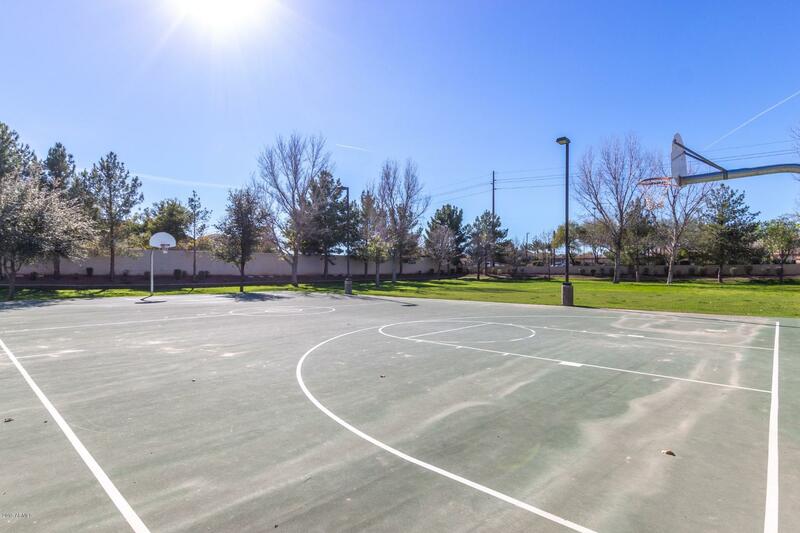 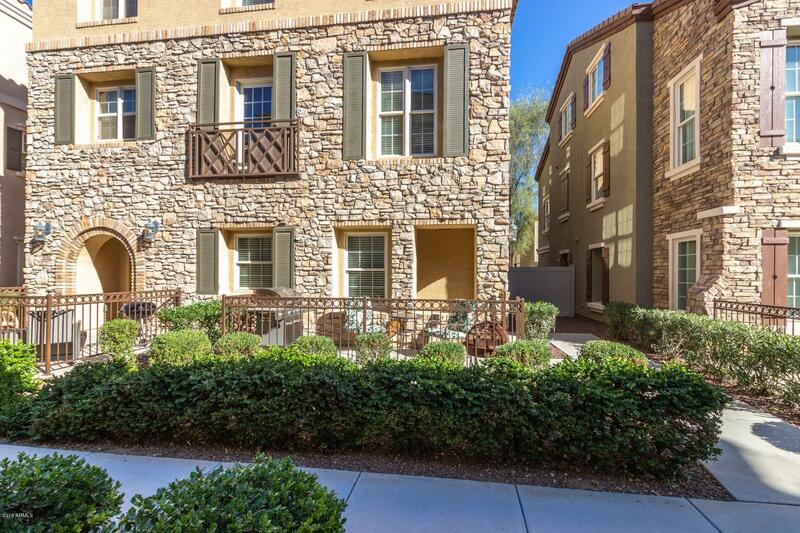 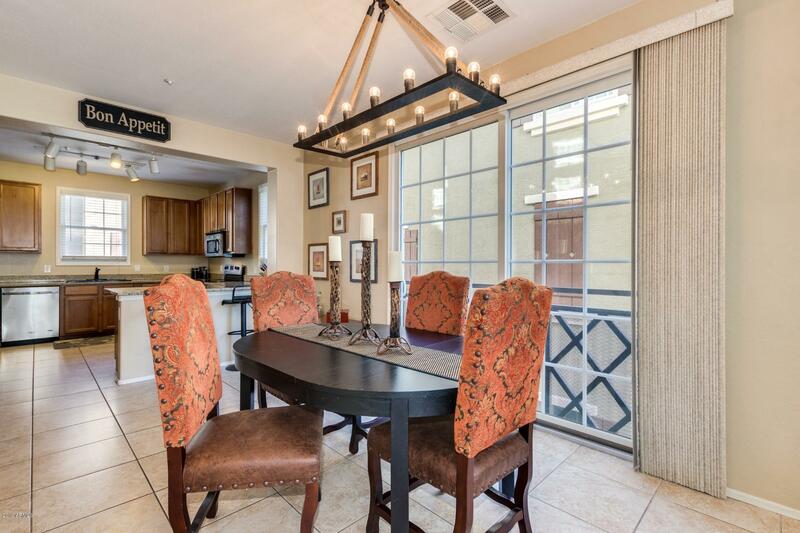 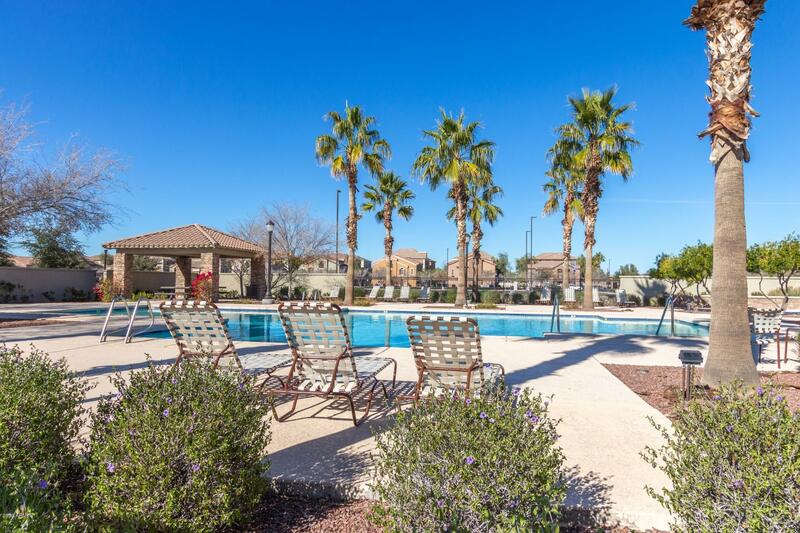 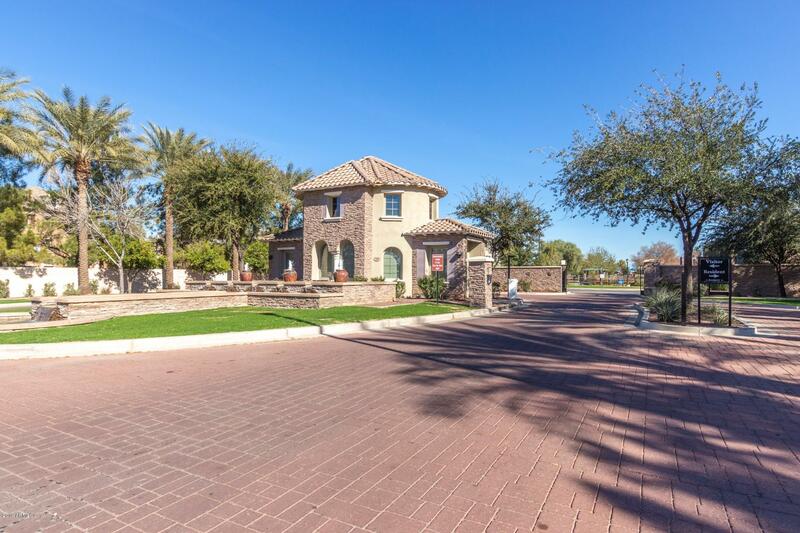 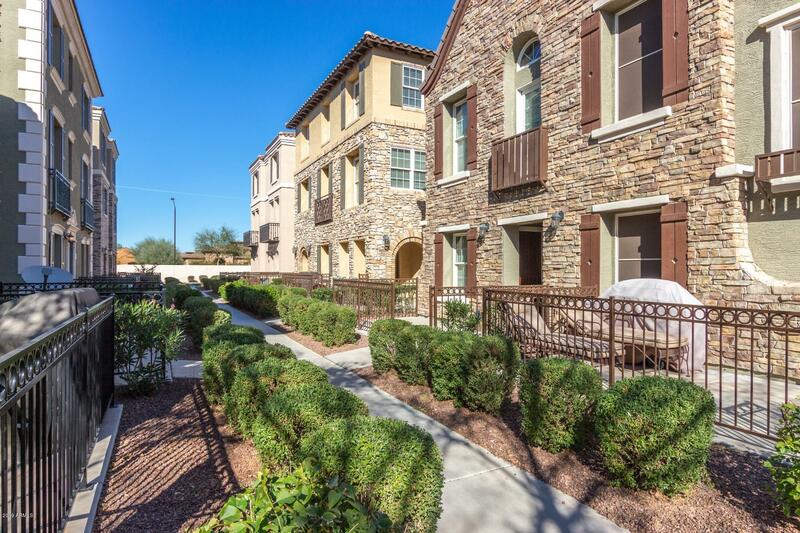 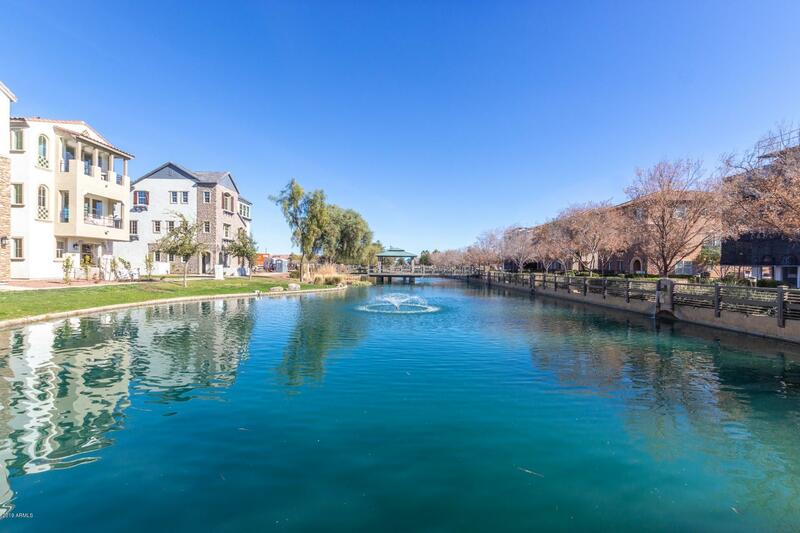 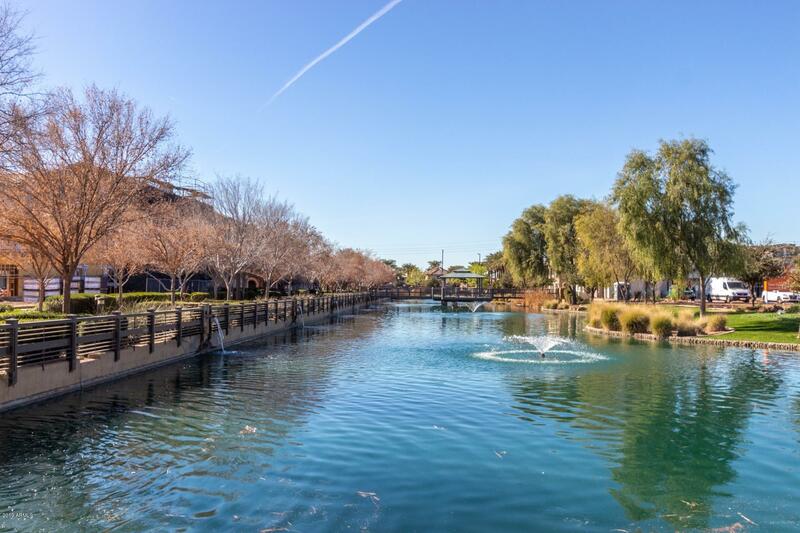 Gorgeous Gated Community of Val Vista Classic Townhomes. 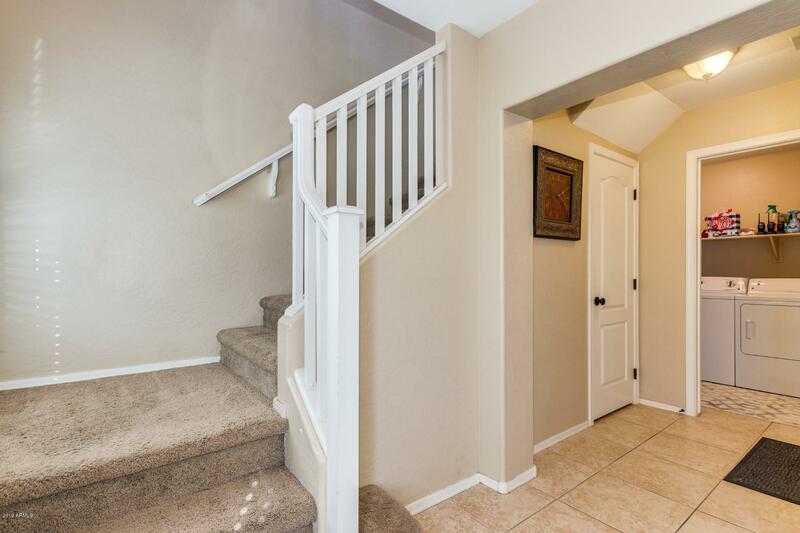 Three levels home with 3 bedrooms and 2.5 bathrooms. 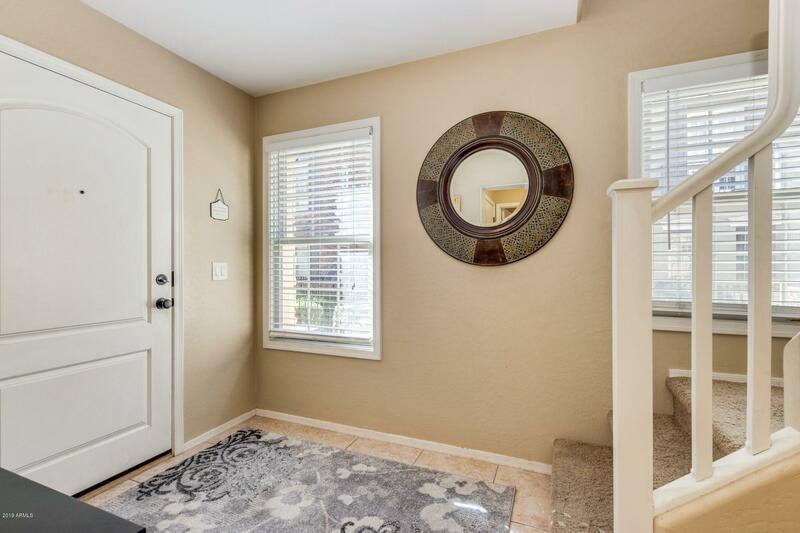 Attractive neutral palette, tile floor, carpet in all the right places, ceiling fans, window blinds, and laundry room on entry level. 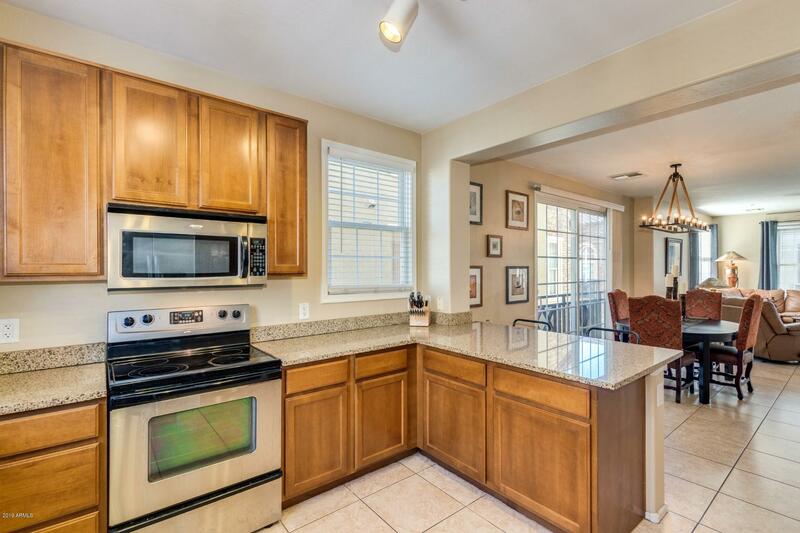 Spacious open floor plan, formal dining area, upgraded lighting, built-in desk, breakfast bar, granite kitchen counters, SS appliances, and upgraded of wood cabinetry. 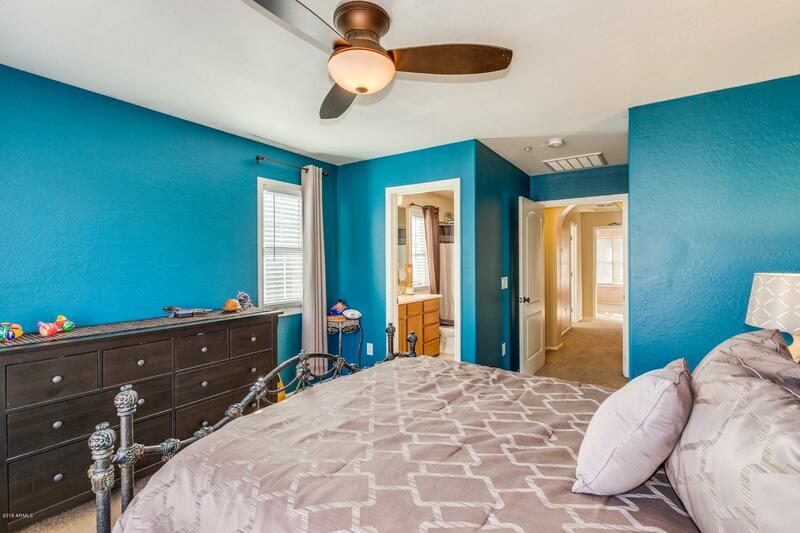 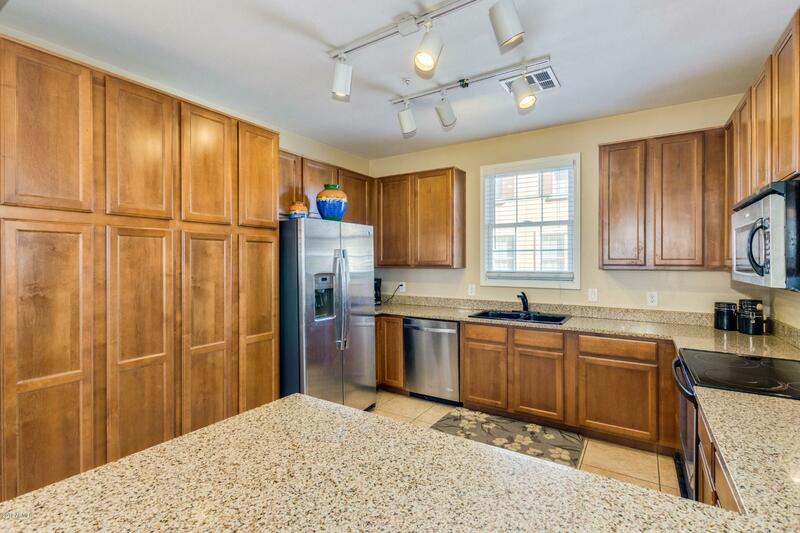 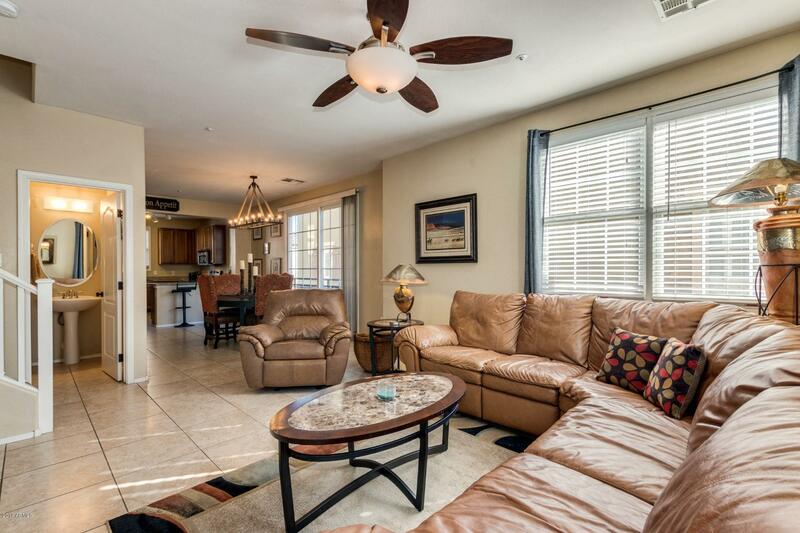 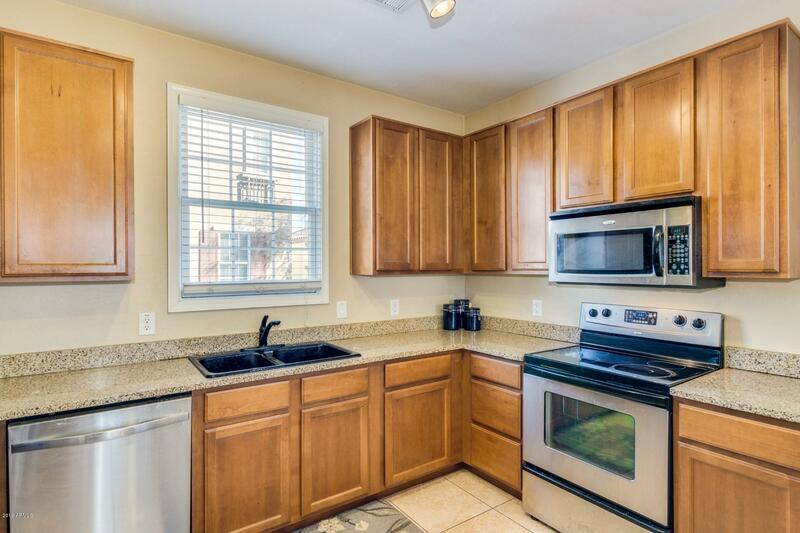 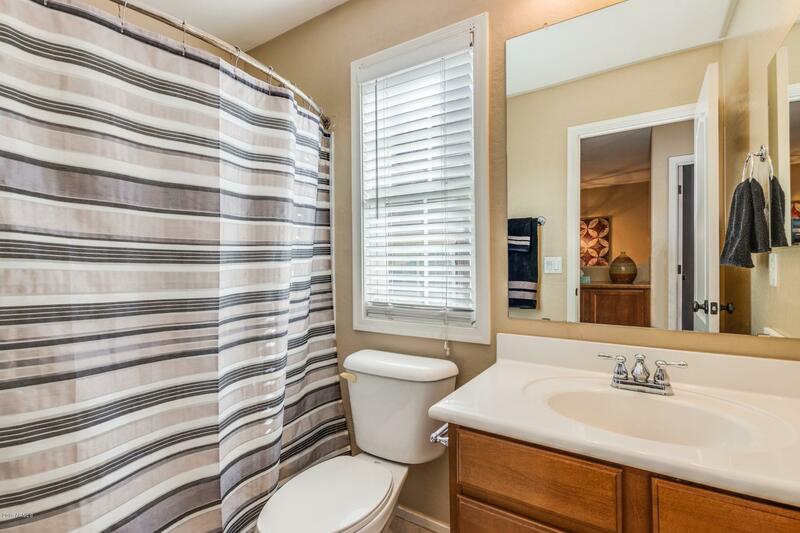 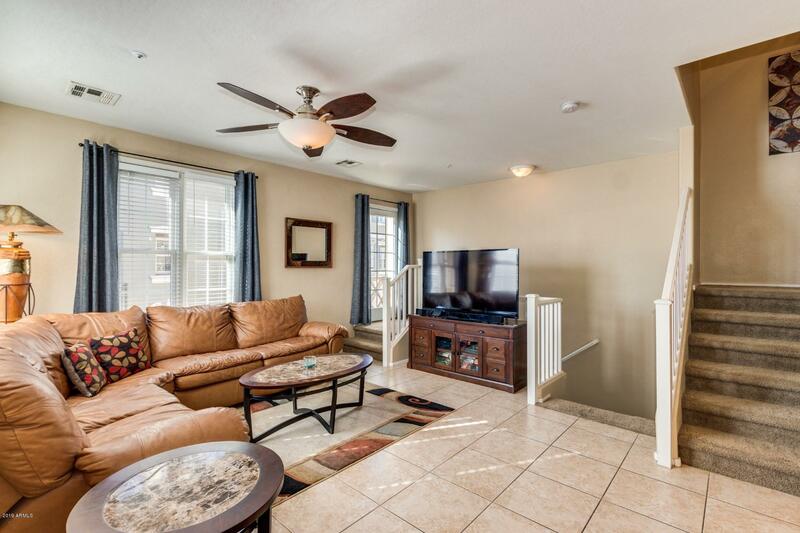 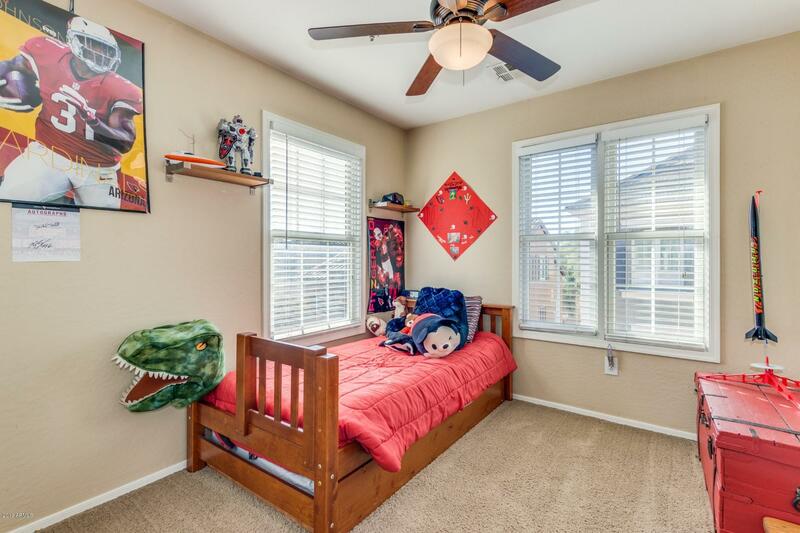 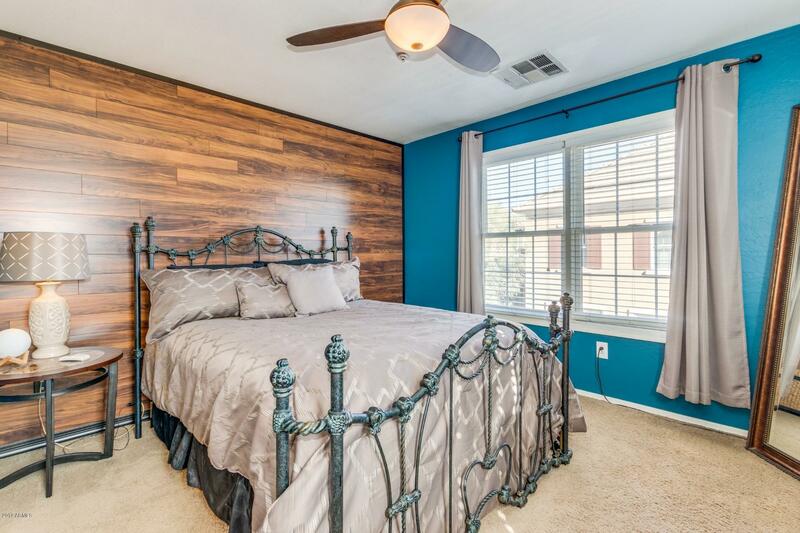 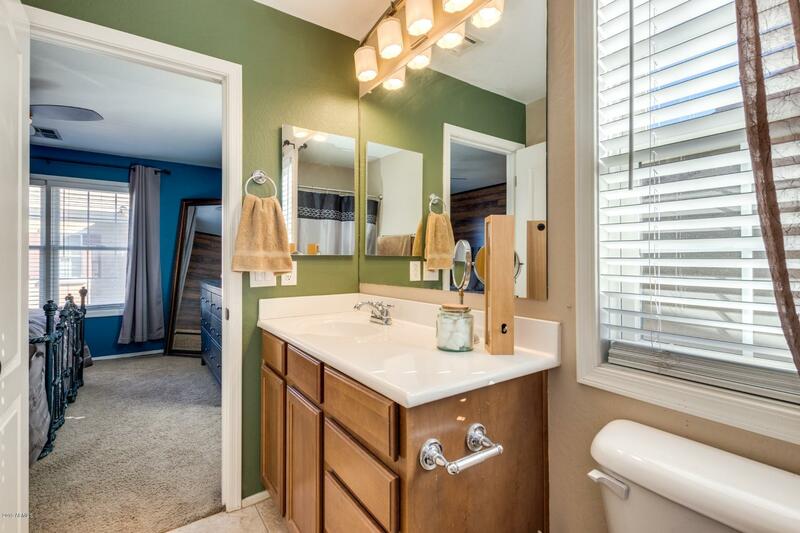 Generous size bedrooms, ample closets, and 2.5 baths. 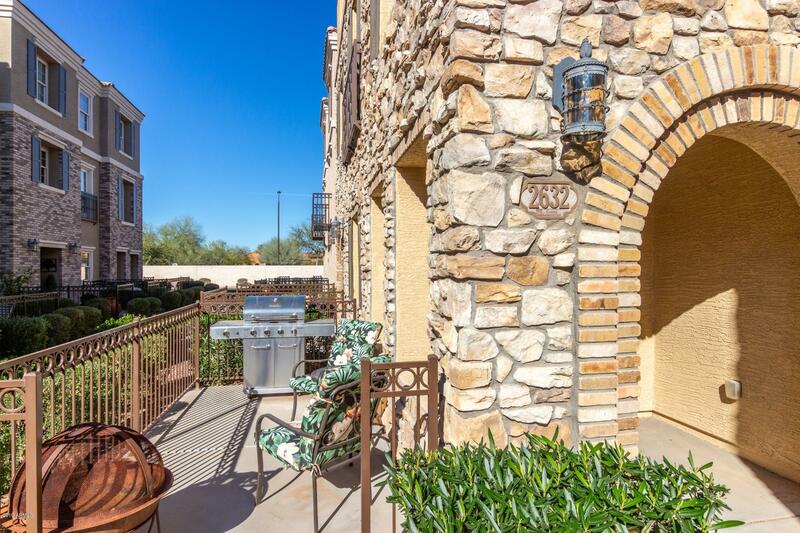 Private patio for entertaining and great curb appeal. 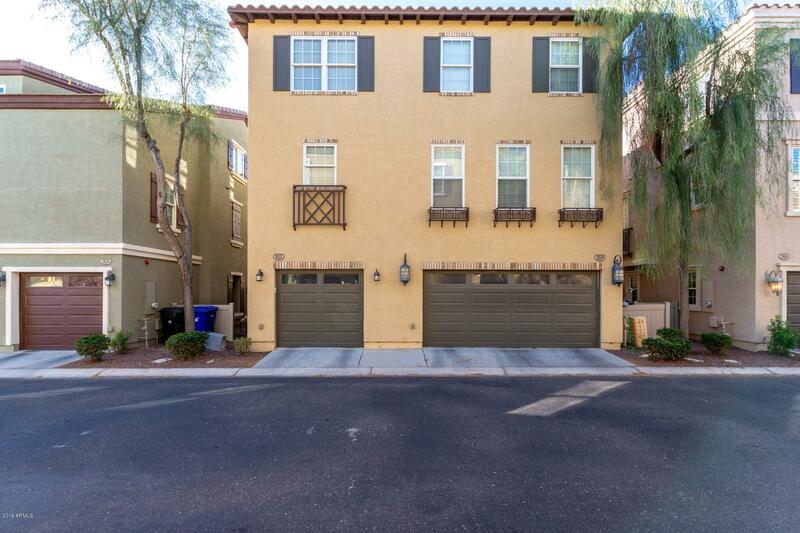 2 Car tandem garage! 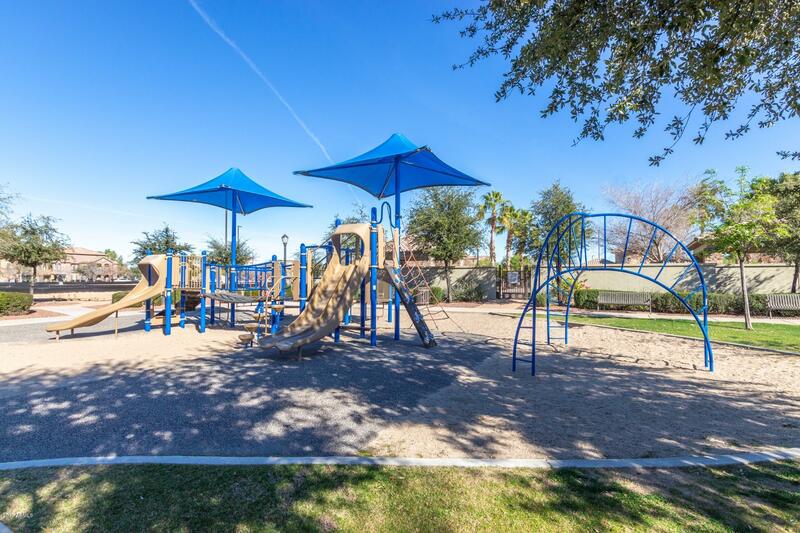 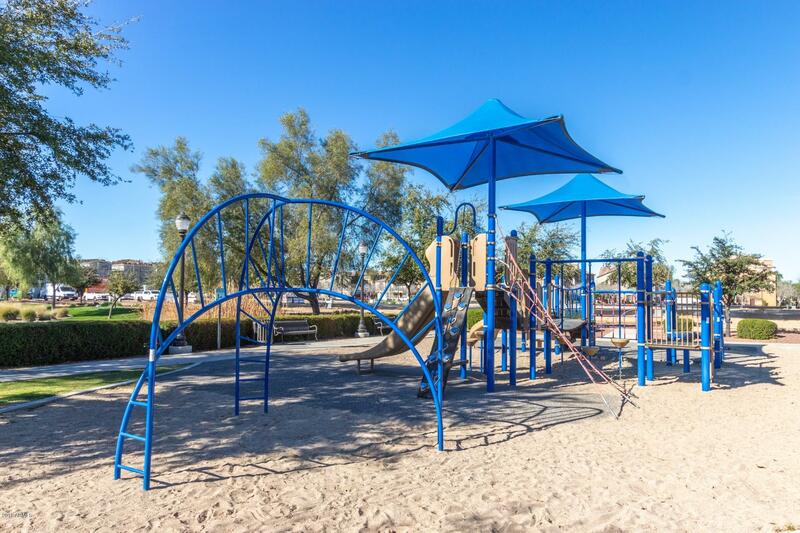 Community Paths, Playground, Pool, Spa, & more. 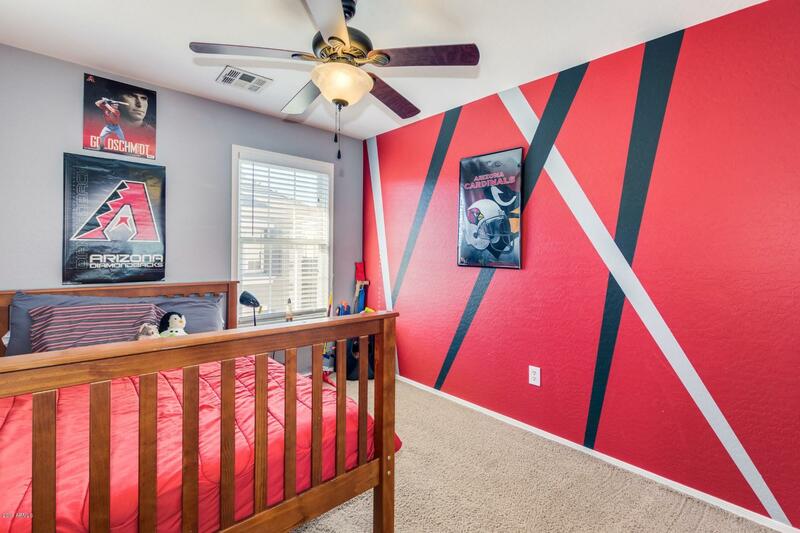 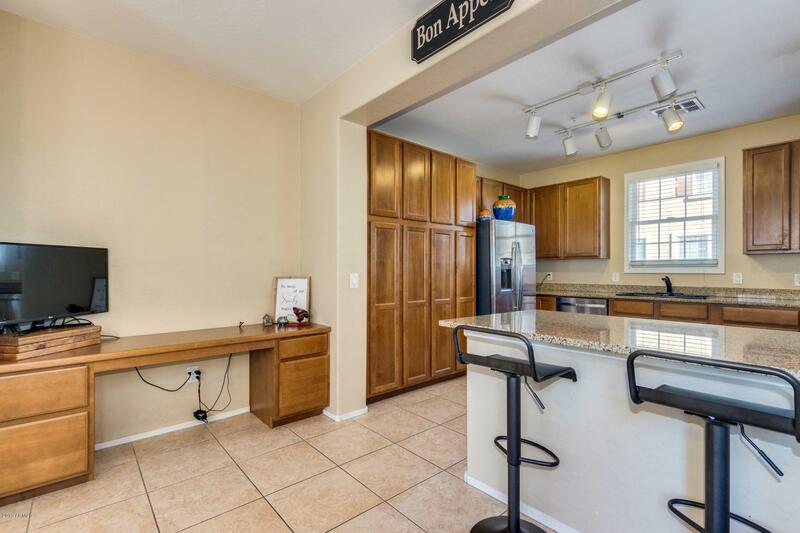 This home is in the perfect location with easy access to the popular San Tan Mall as well as the 202 freeway. 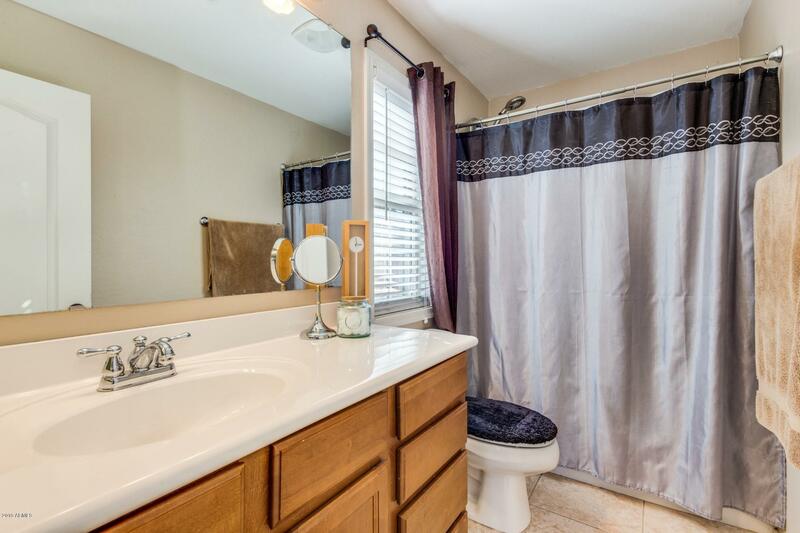 Seller is willing to offer a paint allowance or concession in lieu of paint allowance.